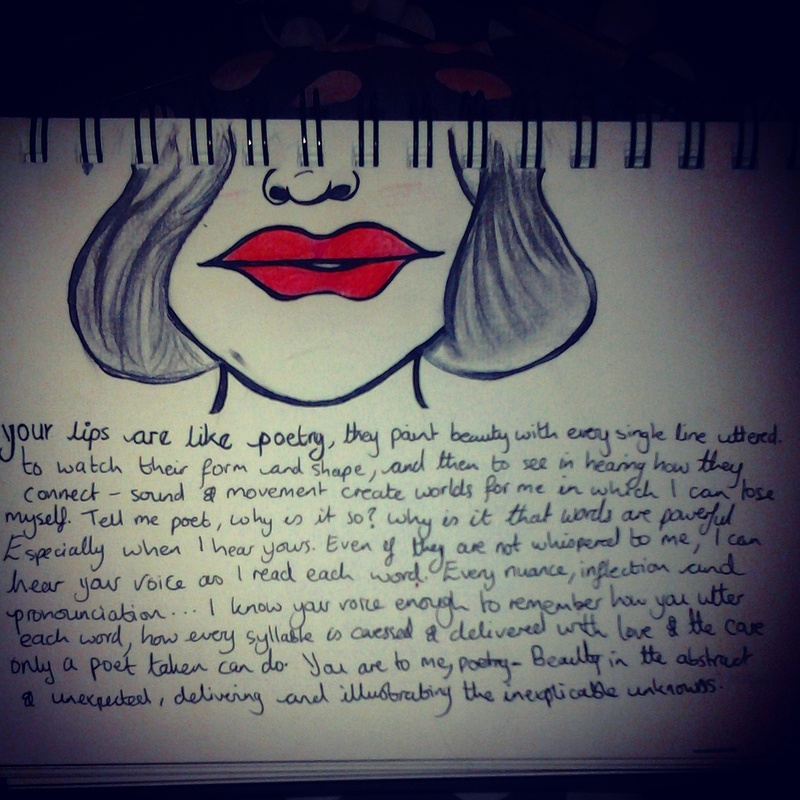 Your lips are like poetry, they paint beauty with every single line uttered. To watch their form and shape, and then to see in hearing how they connect- sound and movement create worlds for me in which I can lose myself. Tell me poet, why is it so? Why is it that words are powerful? Especially when I hear yours. Even if they are not whispered to me, I can hear your voice as I read each word. I know your voice enough to remember how you utter each word, how every syllable is caressed and delivered with love and the care only a poet taken can do. Beauty in the abstract and unexpected, delivering and illustrating the inexplicable unkowns.